Acer has just announced the world’s first 2-in-1 Chromebook with a 15.6-inch display. The Acer Chromebook Spin 15 is accompanied by a regular Chromebook 15 also sporting a 15-inch screen, but without touch or any convertibility. Software-wise it comes with regular Chrome OS but both the Spin 15 and the Acer Chromebook 15 fully support Android apps via Google Play. 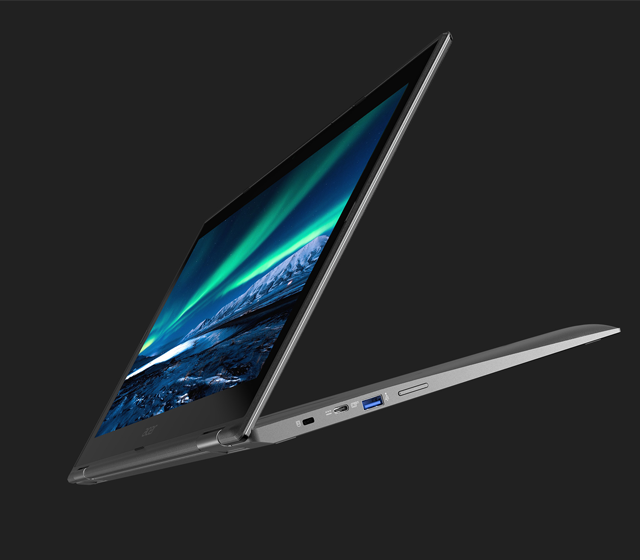 The 15.6-inch 1080p touch screen is an IPS panel and supports 10-finger multi touch, which is pretty much standard for laptop touch screens these days. Powering these Chromebooks are a range of low-powered Intel Pentium and Celeron processors (Pentium N4200, Celeron N3450 and the dual-core Celeron N3350), and they come with either 4GB or 8GB LPDDR4 memory, along with either 32GB or 64GB of on-board eMMC storage. Acer is billing this as an entertainment device and has included two full-sized upward-facing speakers, which prominently flank the full-sized keyboard. Acer mentioned the touchpad in particular on stage, as its fairly large and is made out of Corning Gorilla Glass so navigation around Android and Chrome apps should be smooth. Of course, being a 2-in-1 convertible the Spin 15 can go the full 360-degree. You can use it as a large tablet or in tent or stand mode, or like a regular laptop. But we are not sure we want to carry around a 2.1kg tablet. One thing great about Chrome OS is the battery life. 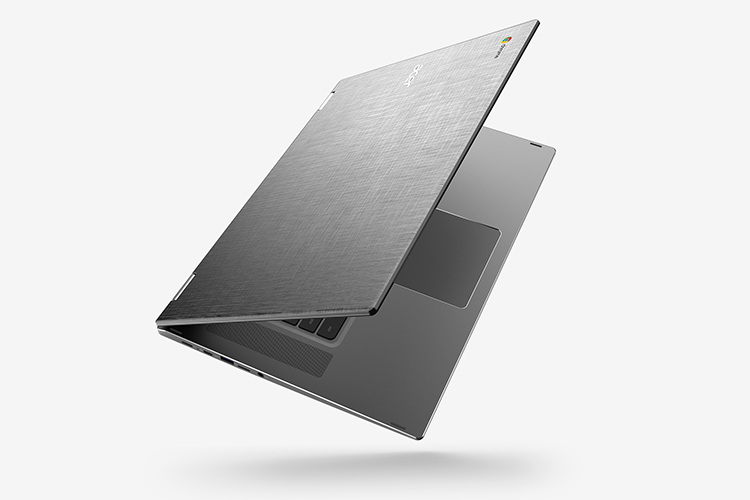 The Spin 15 is rated for 13 hours while the regular Chromebook 15 can last 14 hours, Acer claims. In terms of connectivity, you get 2×2 MIMO 802.11ac Wi-Fi, Bluetooth 4.2 and a 720p HD webcam that’s said to have high dynamic range (HDR) support and a wide field of view specifically for Google Hangouts. The Spin 15 has a decent ports selection with two USB 3.1 Type-C Gen 1 ports for data transfer data and hooking up to an external HD display. You also get two full-sized USB 3.0 ports, which is just amazing, and a MicroSD card reader as well to add more storage. The Acer Chromebook Spin 15 will be available in North America in July for $449 onwards; and in Europe, Middle East and Africa in June starting at 449 euros. The regular Acer Chromebook 15 is priced at $349, and has the same availability schedule as the Spin 15.